Can Easter Lilies Be Transplanted Outside? How Long Do Easter Lilies Live? Easter lilies are delicate beauties that come from hardy bulbs. If you live in a climate that does not experience extended periods of freezing temperatures in the winter, preserve your Easter lily bulbs by wintering them in the refrigerator. Easter lilies need to spend at least six weeks at temperatures around 40 degrees Fahrenheit or they will not bloom the following summer. Cut back the foliage of your Easter lilies to 2 inches above the ground. Your Easter lilies are ready for pruning when their foliage has turned yellow and died. Carefully dig up the bulbs. Use a trowel to loosen the soil a few inches away from the stem. Work in a circle around the stem, gently loosening the soil at greater depths until you can easily pull the bulb out by the stem. Brush off any clinging soil, but take care not to damage the roots or bulbs. Line the bottom of a polythylene bag with 2 inches of moistened peat moss. Place a bulb on top of the moistened peat moss and cover with another 2-inch layer of peat moss. Close the bag. Place the bulb in your vegetable crisper and replant in spring. The Easter lily (Lilium longiflorum), native to Japan, symbolizes the spiritual virtues of Easter-purity, hope and life. The stark white, trumpet-shaped blooms atop strong dark green foliage are well suited to container life or as a stately addition to the flowerbed. 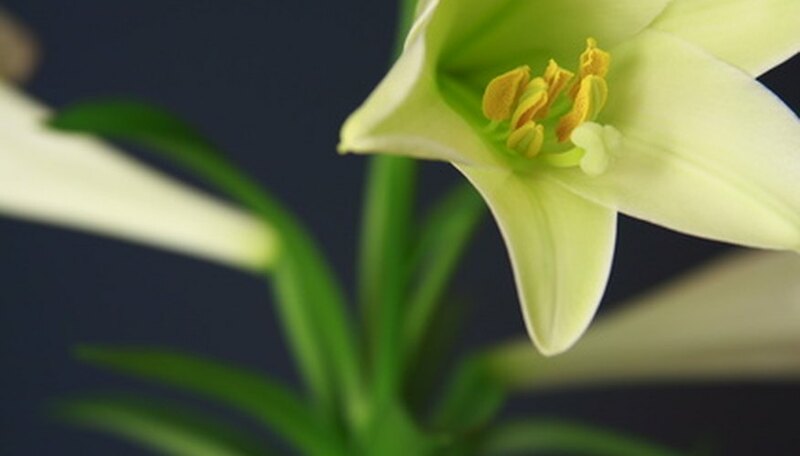 Easter lilies require moderate temperatures, well-draining soil and indirect sunlight for optimal growth. Tulips usher in the warmth and color of spring with over 4,000 varieties. Originating in Persia and Turkey, tulips garnered their name because of their resemblance to turbans. These perennial Easter favorites grow from bulbs planted in late fall to early winter. They grow best in light, sandy soil and full sunlight. Most tulip varieties last up to one week in cut flower arrangements. Hailing from the Asteraceae family, daisies symbolize innocence, purity and loyalty, qualities associated with the meaning of Easter. There are numerous annual and perennial daisy varieties including African, English, gerbera and shasta. 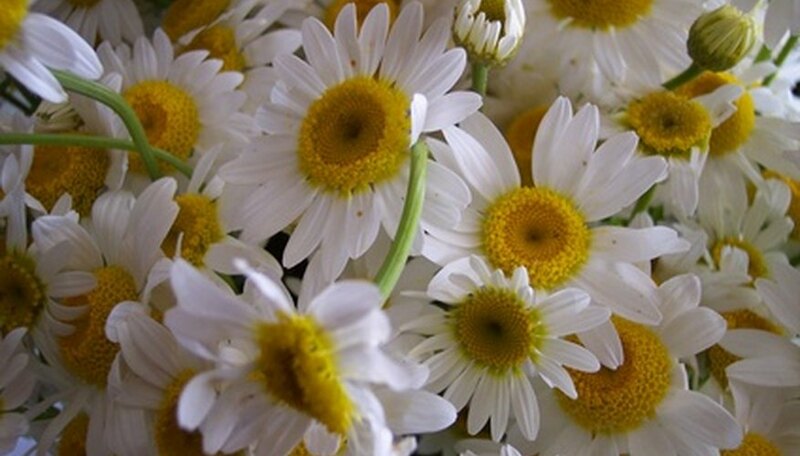 Daisies need full sun and nutrient-rich soil with good drainage. They grow equally well in the flowerbed or in containers. 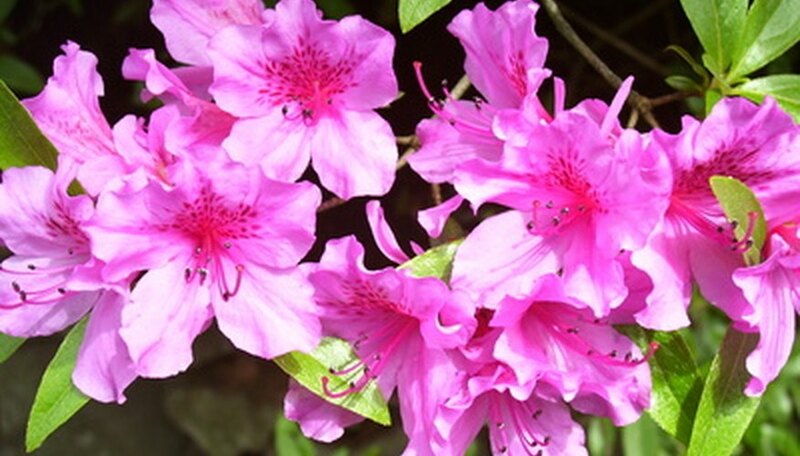 Azaleas, from the Rhododendron genus, symbolize passion, temperance and fragility. Favorites of the Easter season, azaleas are often sold as potted plants. There are more than 10,000 registered evergreen and deciduous azalea cultivars, but most are not sold commercially. Azaleas, which grow as shrubs and small trees, thrive in moderate climates with moderate shade. Easter Lilies (Lilium longiflorum) can be planted outside after the last spring frost. Remove the spent flowers and plant in full sun in well-drained soil. Add mulch in the fall in order to protect the bulbs and remove it in the spring. Keep the potted Easter lily indoors until the blooms begin to decline and the plant's leaves begin to turn from green to yellow or tan, indications that it's time for planting outdoors. Select a site that offers the Easter lily full sun. Dig a hole for the Easter lily that's twice as wide as the container holding the plant and just as deep. Remove weeds, roots and stones from the hole. 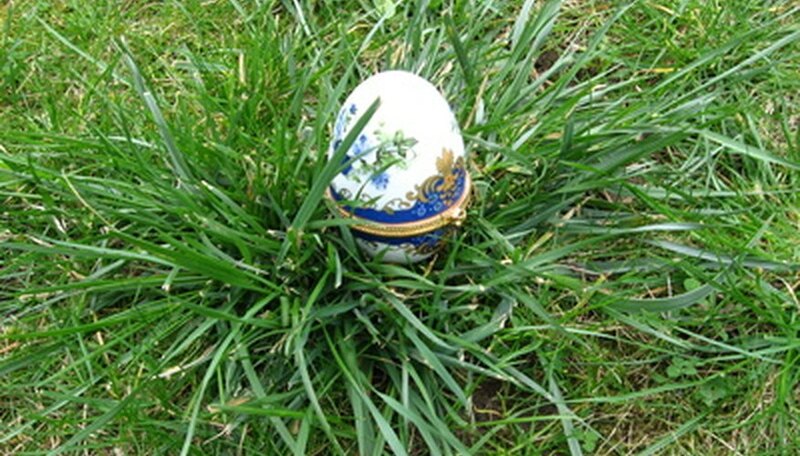 Squeeze the sides of the container to loosen the plant, then shake the Easter lily from its container. Break apart its circled roots by hand and trim them back with scissors. Fill in the hole with soil without pressing down. Water after planting until the ground becomes boggy to compact the soil. Keep the soil moist but not wet. The blooms of Easter lilies live for a week or two. The plant itself usually lasts from spring to fall before the stems start to die. Move the potted Easter lily outside once all frost danger passes in spring. Set the pot in a brightly lit area protected from winds. Water the lily when the soil begins to feel dry, usually every one to two days outdoors. Gradually move the pot into a more exposed area, reducing watering frequency as you do so. Continue this treatment for seven to 10 days to help the lily adjust to outdoor conditions. Cut the wilted flowers from the stems prior to transplanting. Leave the foliage and stems in place to absorb sunlight and nutrients. Dig the planting hole in a garden bed that receives full sun and provides excellent drainage. Dig the planting hole 8 to 10 inches deep. Space it 18 inches away from other plants in the bed. 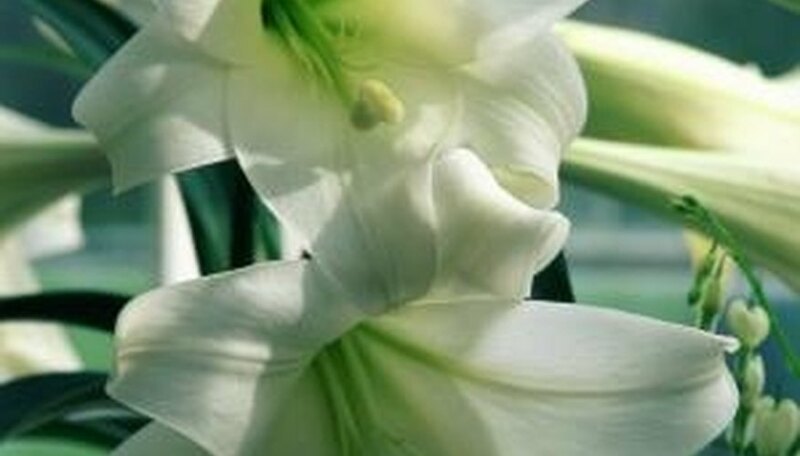 Turn the pot upside down and slide the Easter lily out into your hand. Loosen the soil around the bulb with your fingers. Shake the loosened soil away from the bulb and roots. Set the bulb in the planting hole so that the top sits approximately 6 inches beneath the soil surface. Refill the hole with soil and water the location thoroughly.